What makes a book a "quick read?" 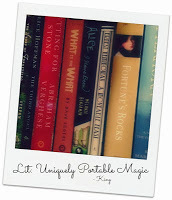 A recent Litsy daily prompt got me thinking about what it is that makes a book a quick read. If you look at Listopia, on Goodreads, there are any number of lists under "Quick Reads," including "Short and Sweet," "Books I Read in 24 Hours," and "Books Under 250 Pages." Does a book's length necessarily make it a quick read? Or does "quick read" just mean a book that nasty to read quickly, no matter the length? Or does it mean a book you read quickly because you just could not put it down, whether that be because it was so beautifully written or it was so suspenseful or it just spoke to you in that moment? Another Brooklyn, by Jacqueline Woodson, for example, is a short book with lots of white space. A quick read, right? But it's a book that really shouldn't be rushed. 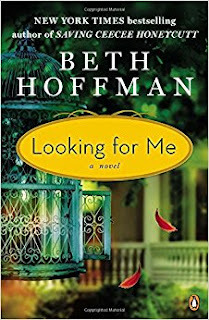 Beth Hoffman's Looking for Me is more than 350 pages long but I raced through that book in one day; it was one of those "right books at the right time" situations. Should there be a modifier attached to the phrase "quick read?" As in, Stephen King's Under The Dome was a quick read for me...for a book of more than 1000 pages. When I finally tackle Anna Karenina, which is almost 200 pages shorter, I doubt very much that I will find that a quick read! Do you ever find yourself scanning your bookshelves especially hunting for something that will be a quick read? My mood of late, and my long reading slump, has really had me searching my shelves for books that won't make me think too hard and won't take too long. So while I'm really wanting to pick up Game of Thrones and start that series, I'm leery. Perhaps, like Under The Dome, that big book will be quick read. But just keeping the characters straight may take more brain power than I'm able to summon. 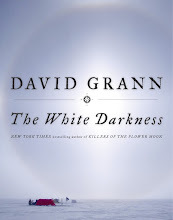 So, for right now, I'm sticking to books that are, for the most part, under 300 pages. Because even if, like Jamie Ford's latest, Love and Other Consolation Prizes, they are beautifully written and books I want to swim in, they are still, relatively speaking, quick reads. And I'm ok with that for now. If I'm looking for an easy quick read then I'll go by genre generally, YA is something I always find to be a quick read, or if I'm feeling really lazy chick-lit (which tends to be too predictable for me, but sometimes that's nice). If I want something with more substance I will go for something short. I just finished 'The Summer Book' by Tove Jansson, that's less than 200 pages but has some beautiful writing (but not so much in terms of plot). Oh or I will get kindle shorts by authors I'm familiar with. Good question! When I look for quick reads I look at both page number and font size. Usually I think of under 250 pages as a quick read, but if the book has a bigger font then sometimes I can go to 300 pages and it'll still be quick. I know what you mean about coming across a short book that is not a quick read. A Brief Story of Marriage was like that for me. And then there are books like Pillars of the Earth by Ken Follett, almost a 1000 pages) which I devoured in no time at all. While size can sometimes play a part in making a quick read, I think writing style and type of book can play a big impact too. And just how invested you are in the book. Oh this is a tough question! I think for me ultimately a "quick read" is a book that pulls me in and makes it hard to put it down. Length isn't really a factor. When I'm in the mood for quick but good reads I pick up award-winning or nominated kids' books. They seem to hit the spot and are beautifully written and have a great message. I'm reading Breadcrumbs by Anne Ursu with my son and it's a beautiful book. Unfortunately, I am not able to accept any new books for review at this time. Every review is an honest representation of my impression of the book. I am not a professional book reviewer; rather my reviews are my opinions as a reader primarily reading for pleasure. I will try to alert readers to elements that some readers might find offensive. My preferred genres are literary fiction, women's fiction, chick lit, mystery/suspense, historical fiction and memoir/biography. If you have a requested date in mind for review, I need to know this in the initial contact. I currently need three months lead time on a book. I will review every book I finish.